Today I am sharing my monthly Secret Recipe Club and Muffin Monday post all-in-one; so I went straight to my assigned blog Karen's Kitchen Stories to check what yummy muffins she had on her blog to choose from and immediately jumped to the Double Chocolate Chip Banana Muffins, but there were also these Pumpkin Applesauce Muffins... guess what I chose! T'is the season for all things pumpkin (and stay tuned, the blog is going to be inundated over the coming week with them thanks to #pumpkinweek)! Learn more about Karen here. She is a married, busy HR lady /recruiter who also teaches college courses part time, mom of two grown children, and proud grandma to two adorable boys who resides in Southern California (I used to live in SoCal many many moons ago at Camp Pendleton - I still miss the gorgeous weather and beautiful ocean view we had from our home). Anyhow, enough with my pumpkin craziness - back to these muffins! As you can see my official baby taste tester also gives her big seal of approval. She's been getting about half a muffin as a snack, or with breakfast or dinner most days since we made these. These are very versatile and everyone in the house has really been enjoying them. It makes a pretty large batch, so you can put some in ziploc bags and freeze them after baking if desired. Then thaw and enjoy all over again at a later date! Preheat the oven to 375 degrees and fill approximately 21 - 24 regular sized muffin tin openings with cupcake liners / or spray the muffin tins generously with nonstick cooking spray. In a medium sized bowl, whisk together the flour, baking soda, baking powder, cinnamon, ground cloves, nutmeg, and salt - set aside. Place the butter and sugar in the bowl of a stand mixer and blend on high speed with the paddle attachment for about 3 minutes, or until creamy. Add in the eggs, applesauce, pumpkin, and vanilla, and continue beating until ingredients are well blended. Next add in half of the dry ingredients, mix, add in the juice and mix, add the second half of the dry ingredients and mix again until smooth. Don't overmix. Fold in the raisins (if using). Fill each muffin cup about 2/3 full. Bake on the center rack (one pan at a time) for 20 to 25 minutes, until a toothpick comes out clean. Allow the muffins to cool in the pans for about 10 minutes before removing them and allowing them to finish cooling on a wire rack. Serve muffins warm or room temp. What a tasty combo for muffins! My two favorite pancakes that my dad makes are pumpkin and applesauce so I am all about the combo in this muffin. That sounds like a great base for a tasty fall pancake! Can you tell PERFECTION for Fall? that's what this recipe is... fantastic pick for your assignment, I am sure they were moist and delicious! great job! Have a wonderful Monday! These muffins would be so great for breakfast! These look delicious! Love the idea of pumpkin and applesauce together. They really make for a tender and moist muffin! Sounds like these got several thumbs up at your house, Rebekah! I must say, they do look perfect. And your little taste taster is adorable, as always. I just bet these muffins are moist and flavorful with such wholesome ingredients! I love to feed my kids muffins for breakfast or have them handy for after school snack--great idea to freeze some for later. I love keeping them around for all those reasons too - I love how versatile muffins can be, and they can be packed full of some pretty great and healthy ingredients for little ones too! I totally forgot about this muffins Rebekah! Thanks so much for the reminder!! So glad you enjoyed them and they could do triple duty!! Oh yum! Pumpkin and Apples - 'tis the season, isn't it? These look amazing and moist! I'm with you on the pumpkin obsession. I come home from the grocery store each week with a bag full of different pumpkin goodies - this week was pumpkin granola bars and pumpkin Twinkies. OM NOM :D These muffins look so good! Ooo, I love Muffin Monday! Such an awesome idea. This pumpkin/applesauce combo is so especially seasonal right now! You've made my first reveal day extra delicious! These muffins look perfect for a treat and for breakfast! Great SRC pick! Your taste tester is absolutely adorable! Ooh, this looks like a great way to get my son to eat some pumpkin and apple. Perfect for autumn! 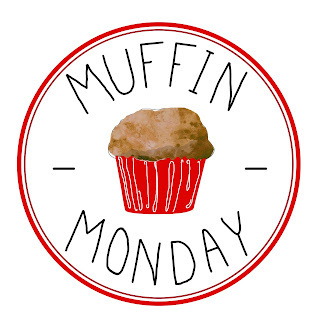 Wait, #MuffinMonday has become a thing now?! Can I get in on it (maybe after the New Year). Love the combination of pumpkin & apple - hello fall! I'll take anything pumpkin! And These look amazing! Thanks for sharing, I can't wait to try them! I need one of these with a pat of cold butter and cup of hot coffee. Yum! That sounds like the perfect way to enjoy these!! In my part of the world, I'm obsessed with all things asparagus - lol - but I'm bookmarking this for that time when pumpkin season returns. Great choice. Great choice for the season!